When we think of ground-breakers in the field of children and communication, names like Dr. Piaget from France or Dr. Montessori from Italy may come to mind. From a Canadian perspective, Dr. Henry Wilson made an enormous contribution to modeling healthy communication between adults and children. Dr. Henry Wilson was born in Peterborough, Ontario in the year 1841. At an early age he won the Wellington scholarship and entered Trinity College, ultimately receiving a Doctorate of Divinity in 1883. His first ministry was as curate of the Cathedral of St. George’s Kingston, Ontario. There he consistently ministered for 17 years until one day “disaster” struck:…He met the Salvation Army. In those days, few had ever heard of the Salvation Army, and what they had heard was treated with great suspicion. Dr. Henry Wilson, a highly educated and cultured Anglican, committed the unpardonable social sin of being seen with the likes of the Salvation Army. In Dr. Wilson’s own words, “I found myself one night kneeling at the penitent form of the Army, pleading for pardon and peace, and needing both, as much as the drunkard on one side of me and the lost woman on the other. I saw myself as never before, a poor lost soul, just as much as they, so far as the need for a new heart and a right spirit was concerned.” Initially the Dean of St. George’s Cathedral told Dr. Wilson that he approved of the Salvation Army and would stand by him if trouble came. When 80 members of the Salvation Army publicly received communion at the Anglican Cathedral, Dean Farthing openly thanked God for their coming. Dr. Wilson’s ministry expanded dramatically, with over 300 young people now flocking to his weekly bible study. Then, out of the blue, the Dean pulled the plug, and ejected Dr. Wilson from the Cathedral, insisting that all connection with the Salvation Army be severed before Dr. Wilson could return. Dr. Wilson’s own bishop offered him little support. Instead his bishop spoke of “the grotesque in the Army’s performances” and Dr. Wilson being “betrayed into (his) eccentricity by cerebral excitement”. In an age when organ music reigned as Queen, the drums and trumpets of the innovative Salvation Army were seen by his bishop as regrettable “extravagances.” General William Booth, who founded the Salvation Army in England, was famous for shocking middle-class English society by his bold innovations. He freely borrowed from the beer-hall tunes, and gave them new lyrics, saying, “Why should the devil have all the good music?” When General Booth visited North America in 1907, Dr. Wilson was there with his hand raised and his voice uplifted in blessing over the bowed and silvered head of General Booth. For his friendship with the Salvation Army, Dr. Wilson paid a great price. Fortunately for Dr. Henry Wilson, Bishop Henry Potter of New York was far kinder to this innovative Anglican, and gave him a position assisting another well-known Canadian, Dr. William Rainsford at St. George’s. Dr. Wilson began reaching out to the down & out by renting the back of a saloon each Sunday morning for a worship service. Even though Dr. Wilson was fluent in the study of Greek, Hebrew, and Latin, he never lost touch with the basic needs of the poor and needy. Henry Wilson went on to become A.B. Simpson’s closest friend and associate, serving as the first President of the International Missionary Alliance, which sent thousands of outreach workers all over the world sharing the love of Jesus. Among his outreach ventures was the care of over 1,000 orphan children living in India. He also served as the President of the Seaman’s Institute, the President of the Nyack Seminary, the Senior Field Superintendent for the Christian & Missionary Alliance, and the Chaplain of the Madgdalene Home for women coming off the streets. All this he did interdenominationally with the full blessing of his Anglican (Episcopal) Bishop who even authorized him to serve as Dr. A.B. Simpson’s associate, serving Anglican communion each Sunday in a interdenominational context. Dr. Henry Wilson is another Canadian who tore down barriers between races, denominations, social classes, and age distinctions. May we all learn like Henry Wilson to be “Big Baby Brothers” and “Big Baby Sisters” in bridging the generation gap between adults and children. Categories: AB Simpson, Alliance, C & MA, Canada, Henry Wilson, Uncategorized | Tags: AB Simpson, Anglican, Anglican Mission in the Americas (Canada), BBB, Big Baby Brother, Bishop Henry Potter, C&MA, Christianity and Missionary Alliance, communication, Dr Henry Wilson, Dr Montessori, Dr Piaget, Dr William Rainsford, General William Booth, healing, Holy Spirit, New York, Nyack Seminary, Salvation Army, St George's Cathedral Kingson, St George's Cathedral Kingston | Permalink. 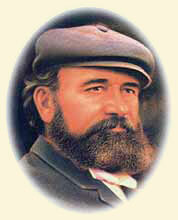 Albert Benjamin Simpson was born on Prince Edward Island on December 15th, 1843 of Scottish Covenanter heritage. The Simpson family had emigrated from MorayShire, Scotland to Bayview, P.E.I. After the collapse of his father’s shipbuilding & export business in the 1840’s depression, his family moved to a farm in western Ontario. Rev. John Geddie, on his way to the South Sea Islands as Canada’s first missionary, baptized baby Albert and in prayer committed him to future missionary service. Out of the blue, Simpson was called to lead a Presbyterian Church in Louisville, Kentucky. The recently ended Civil war left bitterness and division between the various churches. As a neutral Canadian pastor, Simpson was used to bring racial reconciliation and forgiveness among the churches. At Simpson’s encouragement, the pastors went to their knees and poured out their hearts for such a baptism of love as would sweep away their differences. From reconciliation among the clergy came two months of continuous nightly gatherings across the denominations. As the pastors joined their hands together in unity, over 10,000 local residents joined them in prayer meetings lasting for a year. Simpson’s success led him to being invited to lead 13th Street Presbyterian Church, a prestigious New York congregation. Simpson loved to reach out to those who wouldn’t normally feel comfortable in a traditional church setting. When 100 Italian immigrants responded to Simpson’s message, he asked his church Board to admit them as new members. His Board “kindly but firmly refused”, for fear of being overwhelmed by immigrants and poor people. Out of that rejection came Simpson’s vision of a fellowship of Christians where everyone was welcome, regardless of race, income, denomination, or social class. 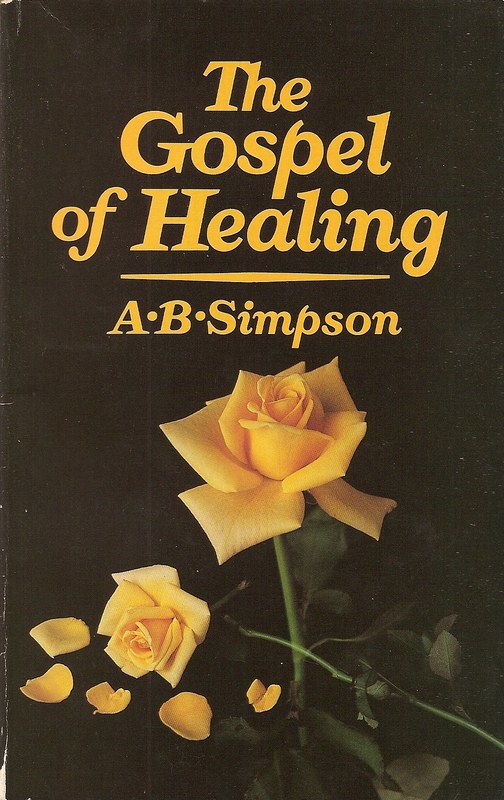 Simpson decided to abandon his security and reputation, in order to start a community where all were welcome in Christ. He began afresh with just seven other people, in a poorly heated dance hall. But Simpson had recently discovered an inner strength and resilience that kept him from slipping into discouragement. In the past he had been such a workaholic that he had destroyed his health. Simpson’s medical doctor had given him 3 months to live. 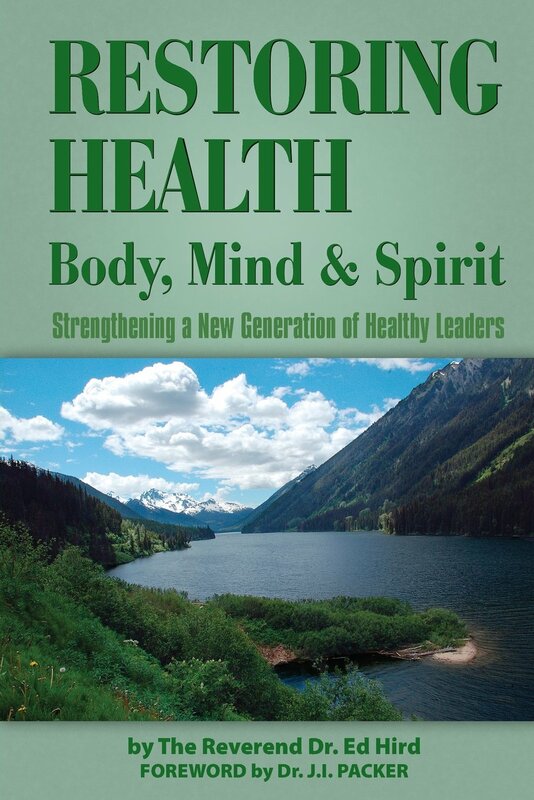 But upon meeting an Episcopalian (Anglican) physician, Dr. Charles Cullis, at Old Orchard Camp in Maine, he experienced a remarkable healing of his heart. 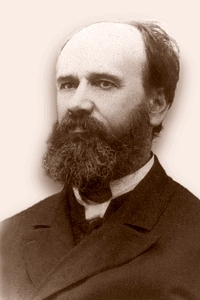 The next day, Simpson was able to climb a 3,000 foot mountain, and successfully pray for his daughter Margaret’s healing from diphtheria- the very disease which had earlier killed his son Melville. Word spread fast in 1881 of these healings. He was besieged by many with pleas for help. By others, he was vilified and ridiculed as another quack miracle worker. Despite such criticism, Simpson received strong support from medical doctors like Dr. Jenny Trout, the first female doctor & surgeon in Canada, Dr. Robert Glover from Toronto, and Dr. Lilian Yeomans, a Canadian-born surgeon in Michigan. He also received much encouragement from well-known Canadian Anglican priests like Dr. Henry Wilson, & Dr. W.S. Rainford. Simpson started Friday-afternoon healing & holiness meetings, which quickly became New York’s largest attended spiritual weekday meeting, with 500-1,000 in attendance. Simpson had a real love for the whole Christian community, regardless of denomination or nationality. 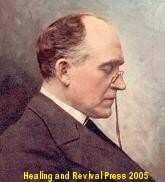 He said: “I want to enjoy the broadest fellowship possible myself, and I want my people to receive the benefit of the ministry of all God’s gifted servants, regardless of whether they agree with me in everything or not.” Many of Simpson’s strongest supporters were Canadians, like William Fenton, Albert Thompson, & E.D. 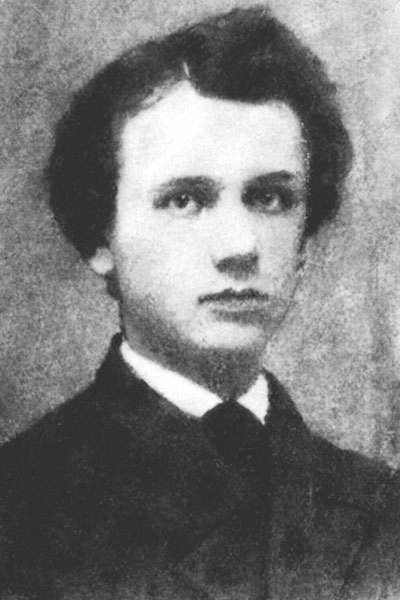 Whiteside, who had been remarkably healed from diseases such as cancer, tuberculosis, and epilepsy. Canadian-born Dr. Henry Wilson was first healed through Simpson’s prayers, and then received permission from his bishop to become A.B. Simpson’s associate pastor! He was even allowed by his bishop to erect an altar at the Gospel Tabernacle, and conduct an Anglican service of Holy Communion each Sunday morning. In a show of interdenominational unity, Dr. Simpson the (C&MA) Alliance pastor would preach and Dr. Wilson the Anglican priest would serve communion. Another Anglican priest, Dr. Kenneth Mackenzie, actively participated in Alliance Conventions, taught at the Alliance Missionary Training Institute, and contributed articles to the Alliance magazine. Simpson publicly stated that he would prefer to have Dr. Mackenzie’s presence and teaching as an Anglican clergyman than as an Alliance worker. A.B. Simpson had a passion for interdenominational Christian Unity and Missions that is only now beginning to be appreciated by other churches. I thank God for heroes like Albert Benjamin Simpson, who have helped tear down the walls of misunderstanding, bitterness, and mistrust between the churches. Categories: AB Simpson, Alliance, C & MA, renewal, Uncategorized | Tags: AB Simpson, Alliance Church, Anglican, Anglican Mission in the Americas (Canada), Canada, Christan & Missionary Alliance, Dr Charles Cullis, Dr Jenny Trout, Dr Kenneth Mackenzie, Dr Lilian Yeomans, Dr Robert Glover, Dr WS Rainford, Gospel of Healing, Gospel Tabernacle, healing, Henry Wilson, hero, holiness, interdenominational, Italian immigrants, Knox Church, Knox College, Missions, prayer, Presbyterian, Prince Edward Island, reconciliation, Scottish, unsung hero | Permalink. One of my favorite authors is Dr. A.W. Tozer. I appreciate him because he stirs me to think, to feel, to hope, and to search. In this information age of ever-increasing data, Tozer gave us more than just more knowledge; he gave us wisdom to live by. He believed that the widest thing in the universe is not space: it is the potential of the human heart. Tozer saw it as one of the world’s worst tragedies that we allow our hearts to shrink until there is room in them for little besides ourselves. There are times in my life when my heart has shrunk and hardened. Dr Tozer has been like a ‘heart surgeon’ to me, performing spiritual angioplasty when I have needed it the most. He has helped me keep my heart open and soft towards my family, my community, and my God. His humor, written and spoken, has been compared to that of Will Rogers–honest and homespun. People could one moment be swept by gales of laughter and the next sit in a holy hush. Tozer believed that the essence of true religion is spontaneity. Tozer held that one way society destroys people is by preventing them from thinking their own thoughts. As Canadians with our emphasis on accepting all views, we are particularly susceptible to being programmed by our media. Our ‘vastly improved methods of communication’ of which the shortsighted boast so loudly now enable a few people in strategic centers to feed into millions of minds alien thought-stuff, ready-made and pre-digested. A little effortless assimilation of these borrowed ideas and the average person has done all the thinking he will or can do. Tozer believed that the mind should be an eye to see with rather than a bin to store facts in. Every time I read Tozer, I feel like the fog has lifted from the tops of the forests, and I can see clearly again. In Greater Vancouver, there are many very successful people. Sometimes the most successful outwardly are the most wounded inwardly, especially in one’s primary relationships. “Not the educators nor the legislators nor the scientists can give us tranquillity of heart, and without tranquillity, whatever else they give us is useless at best.” Tozer commented that in this world people are rated by what they do. They are rated according to the distance they have come up the hill of achievement. Tozer believed that excessive preoccupation with the struggle to win narrows the mind, hardens the heart, and blots out a thousand bright visions that might be enjoyed if there were only leisure to notice them. No one, said Tozer, is worthy to succeed unless he is willing to fail. Jesus died an apparent failure, discredited by the leaders of established religion, rejected by society, and forsaken by his friends. We can afford to follow Jesus to failure. Faith, says Tozer, dares to fail. Jesus’ resurrection is the ultimate reason why failure and crosses need not intimidate us. One hundred and twelve years after his birth, Dr. A.W. Tozer still serves as a symbol of resurrected hope and wisdom in our fragmented age. Categories: AB Simpson, Alliance, AW Tozer, C & MA, Uncategorized | Tags: Anglican Coalition in Canada, Anglican Mission in the Americas (Canada), AW Tozer, Battle for the Soul of Canada, Christian Missionary and Alliance, faith, God, heart, heart surgeon, Jesus, minds, Reverend Ed Hird, St. Simon's Church North Vancouver, Will Rogers | Permalink.